Today Hiranandani has a dedicated and experienced team of over 1600 people employed in its diverse community, led by the visionaries who scripted this grand success saga. A business leader with the desire to rewrite India’s real estate story, Niranjan Hiranandani is arguably, India’s ‘builder extraordinaire’, the person credited with changing Mumbai’s skyline. Niranjan Hiranandani has virtually revolutionized the real estate industry in the country. A qualified Chartered Accountant, his first spark of recognition in the construction business came with the Group’s project at Versova, Andheri in the mid-eighties. Since then, the Hiranandani Group has come a long way and is recognized for their modern state of the art mixed used township projects in Powai & Thane, both of which have become preferred residential and commercial locations in and around Mumbai. Some of his past achievements include drafting the State Policy for Slum Rehabilitation in Mumbai, which was designed to improve the wellbeing of over 6 million slum inhabitants; acting as a trustee of Nathdwara Temple; serving on the board of the Housing and Urban Development Corporation (HUDCO), an organization which distributes over US $ 3 billion per annum to help fund building homes for low income families; acting as an adviser to the Government of India on the Housing and Habitat Policy for over a decade; and serving as Chairman of Housing Committee of the Federation of Indian Chambers of Commerce and Industry (FICCI), Chairman of Real Estate & Infrastructure Committee of Indian Merchant Chambers (IMC). The Hiranandani Group has gone international with 23 Marina – a 395m high 90 storied neo-lifestyle residential tower in Marina region of Dubai. Mr. Niranjan Hiranandani is a Business Leader with a combination of qualities like sharp professional business acumen, concerned citizen with social awareness, Industry leader with up to date knowledge, and above all, ensuring that the company gives value to every Customer. Today, the Hiranandani Brand is synonymous to Quality, Timely Completion of Projects, and Total Township Development. Its new forays are located in Panvel and Chennai, with Pune, Ahmedabad and Alibaug on the horizon. Leadership, brilliance, untiring zest for excellence and down-to-earth are words that come to mind when one comes face-to-face with Niranjan Hiranandani. The phrase ‘labore et constantia’ (with consistent efforts, one can scale great heights) sums up his success story. Mr. Surendra Hiranandani is the Founder & Managing Director of the Hiranandani Group of Companies, a leader in quality constructions and real estate development. He has more than 35 years of work experience in the constructions industry and is the technical and architectural genius behind the Company’s outstanding reputation for quality and innovation. His projects display and ability to transform barren land into some of India’s most vibrant property developments. His team has pioneered developments in India’s housing industry that bring it at par with international standards. His constructions are benchmarked with the best international codes and have brought the level of housing and commercial industry in India up to an international paradigm not only at the building level, but also at the community and infrastructure level. In the early 80’s, Mr. Surendra Hiranandani made a fiercely opposed decision to move away from traditional practices and invest heavily in R&D. Much before water conservation became mandatory, he led his team in introducing systems for 100% sewage recycling and rain water harvesting in all their projects as early as 1989. The Indian government amended IS Code 456 on August 14th, 2000, but, because of the R&D initiated by Mr. Surendra Hiranandani, its specifications had been implemented within Hiranandani Group of Companies in 1989. With further R&D, the standards displayed by his work have exceeded the Indian Code Requirements. He pioneered architectural designs that adapt the need for structures to withstand and to be energy efficient in tropical climates. He brings a balance between the architect and the market, balancing creative beauty with practicality and sustenance. His initiatives in Horticulture and conserving the environment has contributed to the afforestation of the Powai Hills and his conservation measures have consistently improved the quality of life in his projects. He is a pioneer in introducing indigenous species of trees and shrubs into the fabric of urban communities. 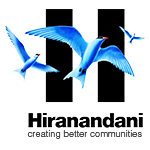 Mr. Surendra Hiranandani is also involved with Charitable Trusts. He is the Founder & Managing Trustee of Hiranandani Foundation, which runs three well acclaimed schools in Powai, Thane and Chennai all from KG to 12th Grade. He is also the President of the Unaided Schools Forum. His keen interest in improving the quality of Healthcare is evidenced in that he is the Founder & Managing Trustee of Dr. L.H. Hiranandani Hospital, a multi-speciality hospital at Powai.